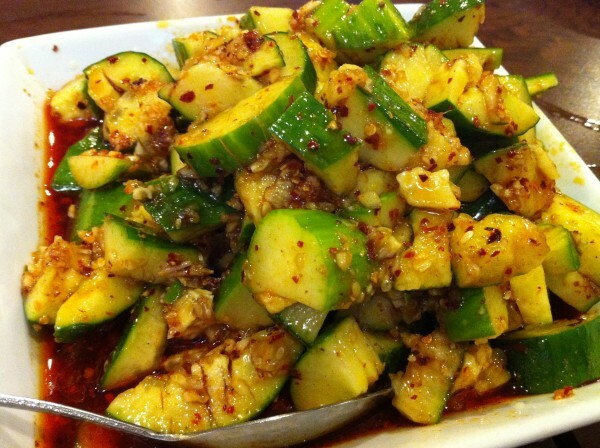 Starting off with the aforementioned cucumbers in chili sauce, these crunchy veggies were a good prelude to what was to come. Whetting our appetites and setting our expectations as to the spice level that would be consistent throughout the meal, these were a good start. I mean, just looking at the photos just sends a little shock to your taste buds, no? 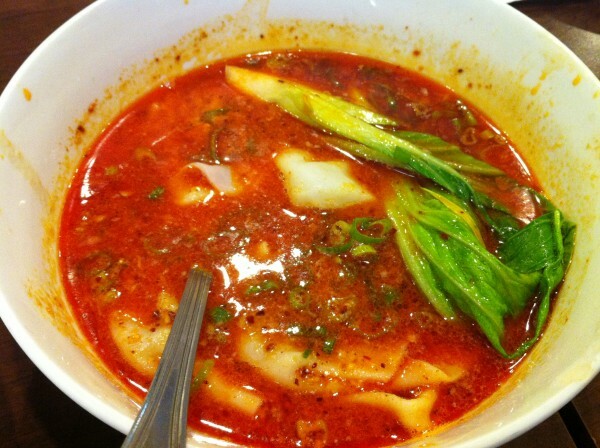 Along with the cucumber entree, we had the Szechuan dumplings which came in a spicy broth. The dumplings themselves were cloud-like, soft, light and easy to eat. The skin of the dumplings were a bit too soft though, tearing at the slightest poke/prod – perhaps boiled for a little too long. Apart from that though, no problems here. 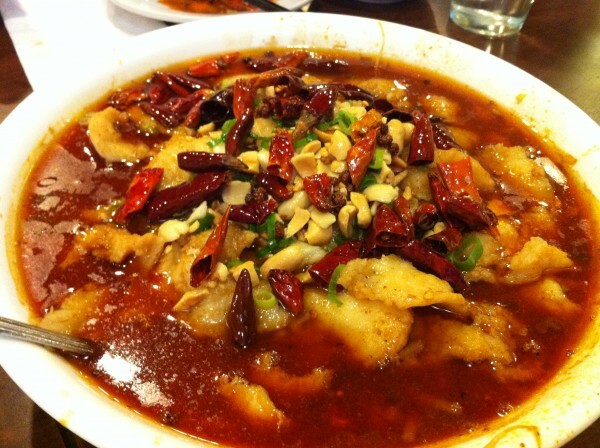 Soon after, we were faced with a bowl of the legendary fish filets marinated in chili peppers. The broth has a reddish-orange hue with spots of oil winking at the surface, tempting you with dangerous heat. The peppers float at the top in clusters, trailing spice and heat into the dish with every movement. At first, tentatively scooping out some fish and drizzling it lightly with sauce, I took a bite. Hot? Yes. Delicious? Double yes. From then on, I just piled it on. For those of you who don’t like spice? I say go for it. #YOLO. 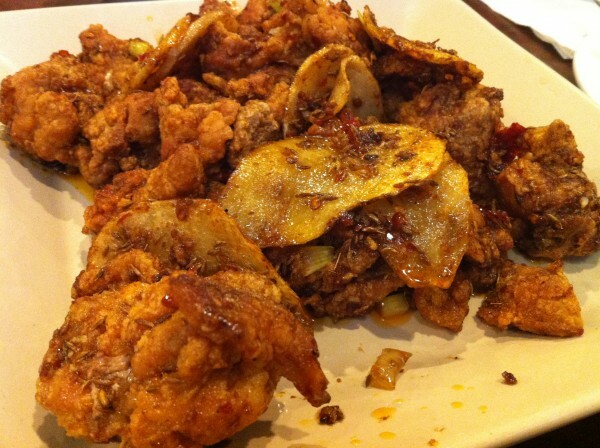 The cumin seed fried chicken was cooked well, maintaining full flavors and an aromatic spice level you’ll find is unique to Szechuan cuisine – both the restaurant itself and the culture. Served crispy and steaming hot, this dish hit it out of the park. 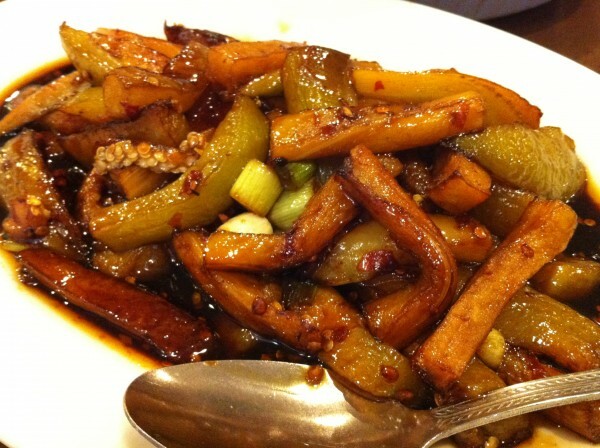 If you’ve followed the blog for some time, you’ll probably notice that the eggplant dish is something that I’ll get almost anywhere, from any cuisine if offered. Eggplant is a great, great vegetable and it’s interesting to see how different cultures own them and incorporate them into their dishes. Here, they were cut up into finger thick rectangular prisms, stewed until they were soft and creamy, and sauteed with a whole lot of garlic and chili peppers. Yep, this version was pretty delicious. 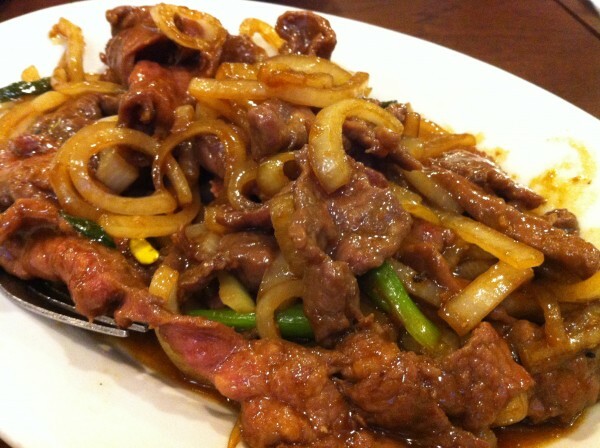 The ginger shallot beef dish was tasty as well, though somewhat less original. There are tons of places that have it on their menu. But do they cook it as well as Cuisine Szechuan? Maybe, maybe not. In any case, no qualms here – just straight up good beef and seasoning. 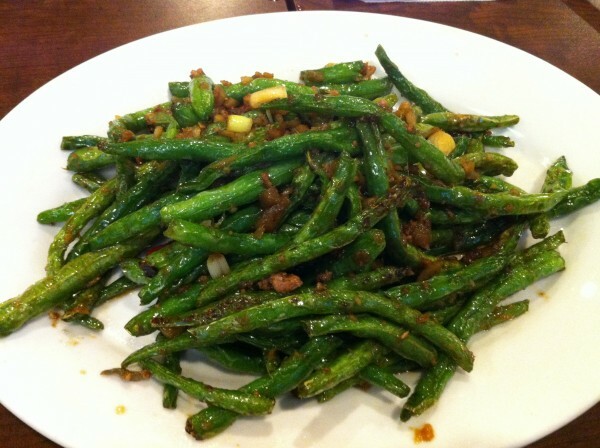 The same thing goes for the green beans, cooked with minced pork and of course, chilis. 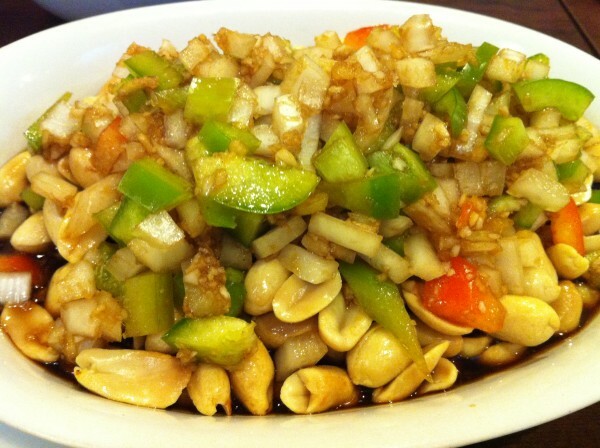 If you really can’t take the heat, the julienned potatoes with green peppers and the deep fried peanuts serve as a nice reprieve. 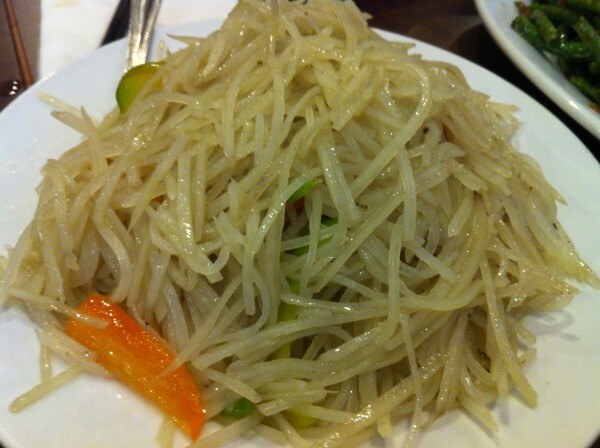 Use them as condiments to compliment the other dishes you order or enjoy them alone. You’ll find that they do an amazing job of making your dishes taste even better than they do already while giving you a chance to catch your breath and cool down. By the end of the meal, you’ll most likely be in a sweat. Your mouth might be burning and you might be tearing up a little bit. But I guarantee you, you will be satisfied. 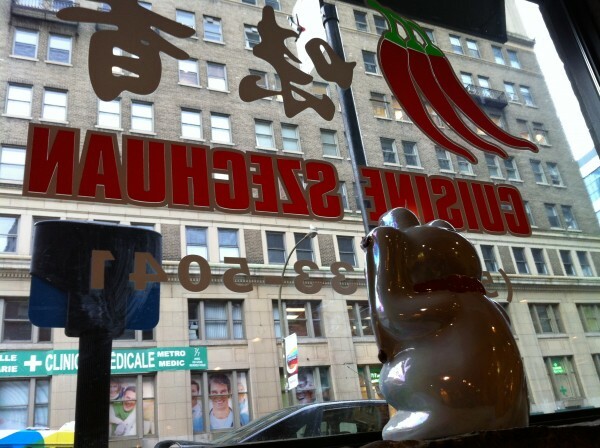 If you’re looking for some authentic Szechuan food, look no further. If you’re looking to test your palate’s limits for spicy food, again, look no further. Cuisine Szechuan has got you covered. Tags: Authentic, Beef, Chili Flakes, Chili Pepper, Cucumber, Cumin Seed, Dinner, Dumplings, Eggplant, Filet, Fish, forkandtell, Fried Chicken, Ginger, Green Beans, Hot, Montreal, Peanuts, Poached, Potatoes, Shallot, Spicy, Szechuan.